June marks Myasthenia Gravis Awareness Month, the disease that has affected people such as quarterback Brandon Cox, Christopher Robin Milne (son of Winnie the Pooh author A.A. Milne), and Aristotle Onassis. Myasthenia Gravis (MG) is a chronic, non-progressive neuromuscular autoimmune disease characterized by muscle weakness and fatigue. On a cellular level, the physiologic dysfunction occurs at the neuromuscular junction. Normally, the neurotransmitter acetylcholine is released from the axon (nerve ending) where it travels to nicotinic receptors located in the muscle cell membrane. Usually, when the acetylcholine binds to its receptors, muscle fiber contraction occurs. However, in the case of MG, pathologic antibodies circulate in the blood and interfere with the acetylcholine binding. This results in muscle weakness, particularly after periods of increased activity which is alleviated with rest. The muscles most commonly affected are the ocular muscles, the limbs, and possibly even the respiratory system. Aside from fatigability, the signs and symptoms of MG include ptosis (drooping eyelid due to muscle weakness), strabismus (non-symmetrical alignment of the eyeball), altered facial expression, slurred speech, and impaired chewing, talking and swallowing. MG is often associated with other autoimmune diseases such as hypothyroidism, diabetes mellitus type 1, rheumatoid arthritis, and lupus. MG can easily be confused with other disorders (slurred speech-stroke, weakness and fatigability- multiple sclerosis, facial muscle weakness- Bell’s Palsy). Therefore, proper diagnosis is important in order to enable proper treatment. Physical examination includes multiple muscle testing, blood test to check for the presence of pathologic antibodies, and EMG (electromyography) to assess the muscle response to repetitive nerve stimulation (which tests muscle fatigability). The primary treatment for MG is medication. The two types of medications used are acetylcholinesterase inhibitors (ex. neostigmine and pyridostigmine) and immunosuppressive drugs (ex. prednisone and cyclosporine). It may take weeks or even months for medication to take effect. In addition, it is important to bear in mind the decreased endurance, and exercise should be approached with caution and under the guidance of a licensed health care provider familiar with MG. Finally, inspiratory muscle therapy, such as training with an incentive spirometer, diaphragmatic breathing, and pursed lip breathing techniques can help improve respiratory strength, mobility of the chest wall and ribs, and breathing endurance. This week, from May 30 to June 1, the first ever World Congress on Abdominal and Pelvic Pain will be taking place in The Netherlands. We are pleased to share that Amy will be attending the conference. Organized by Pain of UroGenital Origin (PUGO), the International Pelvic Pain Society (IPPS) and ConvergencesPP (ConPP), the conference will examine visceral pain and hopes to “contribute to raising further awareness and increase knowledge about this debilitating condition.” Abdominal and pelvic pain specialists from around the world will be gathering, and Amy is so excited to be among them! Stay tuned for more updates after the conference. 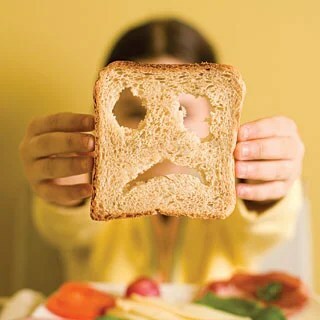 May marks National Celiac Disease Awareness Month. Celiac Disease (CD) is an autoimmune disorder of the small intestine that can occur in people of all ages, many of whom have a genetic predisposition. This genetic predisposition is a variation of the typical HLA allele (with the variant being either HLA-DQ2 or HLA-DQ8), however some people who have the variant allele do not develop CD. It is a polyfactorial disease, which means that several genes are involved with the development of or lack thereof of the disease. The pathophysiology of CD is that the body responds negatively to gliadin (a gluten protein found in wheat), and the immune system creates an inflammatory reaction in the small intestine. This interferes with nutrient absorption through the microvilli of the small intestine walls. Spelt, semolina, durum, barley, rye, triticale, and Kamut may also create celiac-like symptoms. The symptoms of CD include chronic constipation and/or diarrhea (pale and foul smelling), abdominal pain, discomfort, and cramping, fatigue (due to impaired ability of the small intestine to absorb essential and energy providing nutrients), and failure to gain weight, especially in children. In addition, failure to absorb iron can lead to anemia, and failure to absorb calcium and/or vitamin D can create osteopenia or osteoporosis (if severe). Ulcers of the mouth may also be present. Furthermore, CD is associated with increased risk of developing adenocarcinoma (cancer of the small intestine) and lymphomas. CD can be confused with irritable bowel syndrome (IBS), so it is important to undergo appropriate testing to ensure proper differential diagnosis. These tests include serological blood tests and tissue biopsy (with or without endoscopy). The best form of treatment for CD is a GLUTEN FREE DIET to prevent symptoms. Corn-based cereals, rice, wild rice, millet, sorghum, quinoa, buckwheat, potatoes, and bananas are recommended for individuals with gluten sensitivity. Not all “gluten free” foods are created equally- in fact, the FDA allows the term “gluten free” to be used with foods that contain up to 20 ppm (parts per million) of gluten due to the fact that most people with CD will not respond adversely to such low levels of gluten. Celebrate Arthritis Awareness Month this May with Beyond Basics Physical Therapy! Arthritis is a musculoskeletal disorder that affects more than 50 million Americans. It can be sub-categorized into many different diseases, including Osteoarthritis (OA), Rheumatoid Arthritis (RA), and Juvenile Arthritis (JA, an autoimmune disorder among children below age 16). Some misunderstand the disease and think that it involves minor aging related aches and pains. 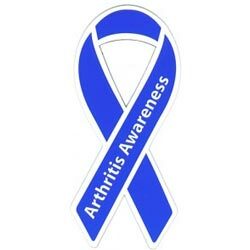 However, arthritis is not something to take lightly- early diagnosis and symptom management is important to slow down the degenerative process and reduce the effects. OA is the most common type of arthritis, and it is a progressive joint disease that involves degeneration of the articular cartilage. Cartilage is connective tissue that lines and protects joints. It allows fluid, smooth, pain-free movement and prevents bone from rubbing against bone. Impaired cartilage results in joint pain, stiffness, and decreased range of motion. The risk factors associated with OA include increased age, joint injury or overuse (ex. work involving repetitive motion, such as baseball pitchers or landscapers), genetics, and obesity. In fact, for every pound gained, four pounds of pressure are added to the knees. The added load that the lower extremity joints are forced to withstand contributes to joint breakdown. The common signs and symptoms of OA include joint soreness, especially after periods of overuse (ex. at the end of the day) OR underuse (ex. during the first thirty minutes of the day), decreased coordination and increased pain with walking, and overall stiffness. RA affects approximately 1.3 million Americans, and is it considered an inflammatory autoimmune disease. For some reason, the body attacks its own synovium, the membrane that lines the joints. This results in a synovial buildup in the joints which causes pain and inflammation throughout the body. It is much more common amongst females, and it is believed to be caused by a combination of environmental and genetic components. The common symptoms of RA are joint swelling, warmth, pain, and decreased range of motion throughout the body. As opposed to OA, which primarily affects the weight bearing and overused joints of the body, RA is a systemic inflammatory process that can affect the entire body. Appropriate exercises under the guidance of a skilled physical therapist, weight control, joint protection strategies, and medications can help alleviate symptoms and decrease further damage. In our last blog, we started to assemble our past exercises to create a fuller movement experience. We combined the scapular mobility exercise and the mechanics of the hip joint to work towards a downward dog. In today’s blog, we are going to go one step closer the full downward dog movement. To review, come into tabletop position on your hands and knees. When you have found a neutral position, take a deep inhale and envision your ribcage expanding underneath your shoulder girdle. When you exhale, envision your abdomen pulling in and lifting up towards your spine. On your next inhale, shift your weight back towards your heels. As you do this, envision your shoulder blades widening and upwardly rotating on your ribcage. At the same time, envision your sitz bones widening and your thigh bones rolling back in the hip socket. In this shifted position, take a deep exhale and engage your abdominal muscles. If you feel conﬁdent with the above movement, you can attempt the next phase of the exercise. Sitting back towards your heels take another deep inhale and tuck your toes under. This time as you exhale, you are going to engage your abdominals and ENVISION your knees ﬂoating off the ﬂoor. Do not actually take your knees off the ﬂoor, just visualize the movement. Notice how much more your abdominals need to engage by just imagining the movement? The movement should progress with a deeper abdominal engagement, yet with the same hollowing quality as when your knees are on the ﬂoor. Our goal is to eventually take the knees off without hardening and gripping in the abdominals. Visualizing movement can often be more beneficial than the movement itself. By creating an ideal movement experience in your mind’s eye, you are offering your nervous system a different option, without stressing the system. Try the above visualization exercise for a few weeks. When you feel ready to attempt the actual movement, you’ll be surprised at how effortless it is. 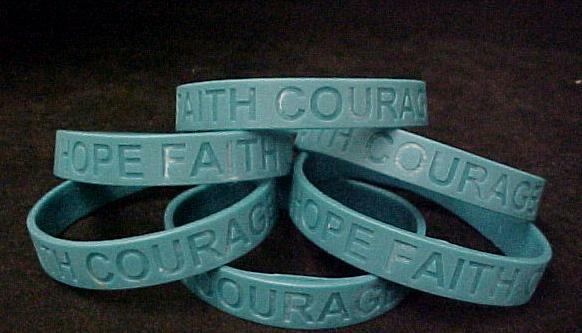 Alex is a licensed professional counselor (LPC) in the state of Pennsylvania. Her recently released audio CD, “Guided Meditations for Mindful Living”, is now available on iTunes, CDbaby, and Amazon.com. You may also order a copy directly from her by calling 610-868-0104, ext. 3. 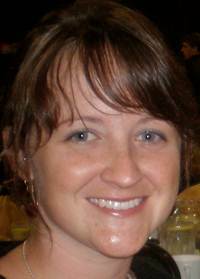 Alex earned her Bachelors of Arts in Sociology, Anthropology and Women’s Studies as well as a Masters of Education in Counseling Psychology and Human Services from Lehigh University. She received her Masters of Education in Human Sexuality at Widener University. She is currently a doctoral candidate in the field of Human Sexuality at Widener University. Alex is certified as a Master Practitioner in NeuroLinguistic Programming, Emotional Freedom Techniques (EFT) and Mindfulness-Based Stress Reduction Trainer. She has been working with patients suffering from chronic pelvic and genital pain for two years, focusing on the counseling and education of mind/body relaxation for stress and pain management. Alex has been running workshops for women for over 6 years. Her private counseling practice specializes in depression, anxiety, trauma and sexual health. What was the goal in creating the Alliance? Our main mission in creating the Alliance was to expand knowledge and care to the underserved population of female patients with chronic pelvic pain. We wanted to create an atmosphere where patients felt safe to be their authentic selves and felt comfortable in expressing their thoughts and feelings. It was important to us to help these women meet each other in an effort to help them not only realize they are not alone in their experiences, but also to learn there are answers and reasons for their pain. Too often I hear from our patients I meet at Dr. Echenberg’s office that they have been to countless numbers of doctors without receiving any clear explanations for their pain and symptoms. In fact, many of them have been told that their pain is “all in their head”, which is a complete neglect and dismissal of their experience. Hearing these stories also lead to a main goal of the Alliance, which is to also expand knowledge to health care professionals around the country. We hope to hold educational retreats for professionals as well as patients in the near future. What were the highlights of the weekend in your opinion? I think the entire weekend was a highlight! Beginning with Friday night’s “Meet and Greet”, the energy in the room was swirling with excitement and camaraderie as the participants began to meet each other and share stories. The entire lobby of Hotel Bethlehem was buzzing with sounds such as, “Really? Me too!” and “Oh my gosh, I thought I was the only one.” Watching the smiles on these women’s faces and hearing that this is the first time they have smiled and felt part of a community warmed my heart and expanded my energy for the upcoming weekend. Another great highlight was when some of the participants gave us the idea to have a special lunch table for those under 30 years old. Watching the young women share stories and tears was sensational. Another highlight was having the immense support of our sponsors, which provided us the ability to provide over 10 raffle baskets and generously filled guest bags for all participants. Having the “extras” always helps make an event more exciting and enjoyable! It was also great to be able to donate over $200 from the raffle to the Pelvic Messenger, which is a non-profit dedicated to educating the world on CPP. Another highlight was the break-out sessions, which provided more one-on-one attention in practicing the techniques discussed in the lectures. Specifically, participants enjoyed the physical therapy workshops with the help of Dustienne Miller, who is a wonderful yoga teacher dedicated to the care of those coping with pelvic pain. Finally, a highlight that was more “behind the scenes” was the opportunity to meet with one-on-one practitioners who specialized in a variety of areas, including nutrition, Emotional Freedom Techniques, One Brain, Sound Therapy, Qi Gong, Yoga, and Myofascial massage. We are so grateful for the providers who took their weekend to be available for individual sessions for the participants. What was some of the feedback you received from participants? Participants will develop and practice self-healing techniques. Participants will create a consolidation of self-care skills acquired during the therapies. Participants will illustrate to themselves and others that progress can be made in managing their pain. Participants will assess the cognitive, emotional, social, spiritual, and physical consequences of their chronic pelvic pain and how these influences are affected by the pain. Participants will develop understanding of how CPP affects their sexuality. Participants will develop an understanding of how CPP affects their relationships with friends, family, and themselves and will learn how to better navigate these relationships. Participants will develop an understanding of multiple treatment approaches that they can explore within their own community. Participants will learn how to reframe their sexuality as it relates to CPP. Participants will have an opportunity to connect with others who share their experiences and feelings related to CPP. How did the Yoga sessions complement the lectures and workshops? The yoga sessions helped guide participants through relaxation and stretching techniques to help release their pelvic floor muscles and surrounding muscles involved with CPP. It was fun to be able to first educate the participants on the muscles and ligaments that are involved, and then follow that with actual techniques on how to address these muscles through specific stretches and movements. Dustienne is also wonderful at talking them through relaxation breathing techniques, which complimented the mindfulness-based stress reduction lecture and workshop. Would you do this again? What do you look forward to incorporating into future Alliance retreats? I absolutely plan on doing this again. I look forward to planning more break-out workshops and expanding the retreat to 3-4 days, rather than trying to squeeze it all in to 2 days. This will also for more one-on-one attention as well as more “free time” for participants to spend quality time together without being exhausted from a busy day. I will have more one-on-one treatment providers available on-site to not only offer sessions but also answer questions about the modality and how it helps with CPP. I also plan on having a “pre-retreat” training day for health care professionals that also offers continuing education credits (CEUs), which always helps practitioners attend! I would also like to incorporate more patient testimonials to help emphasize the importance of an integrative, multidisciplinary approach with all chronic pain disorders. It’s so hard for many to afford the multidisciplinary services because most are not covered by insurance. However, it is so important to the management and treatment of chronic pain and this must be understood and emphasized more by mainstream health care providers.